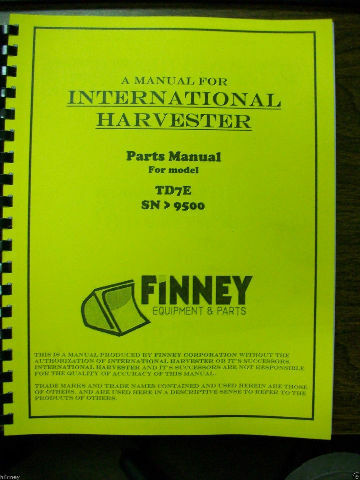 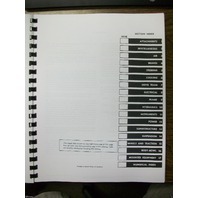 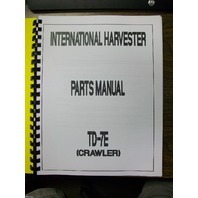 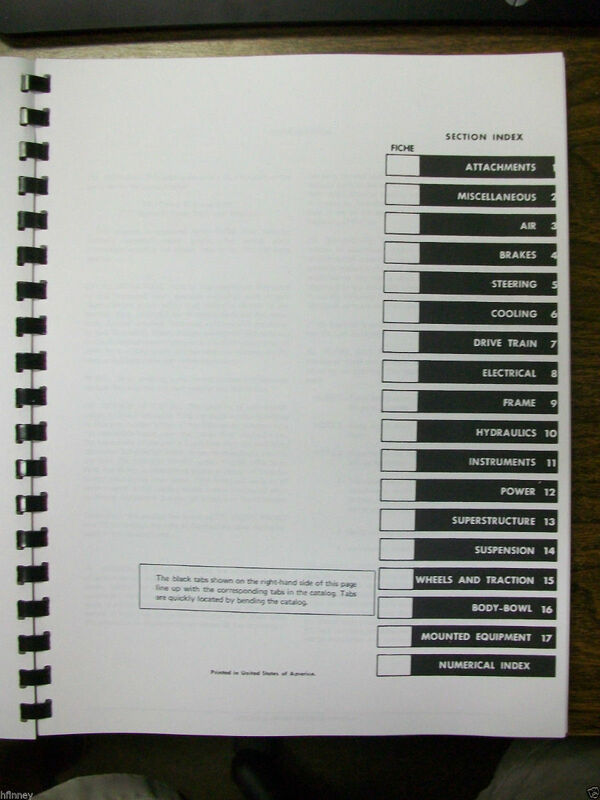 You are bidding on an International IH TD7E Crawler Tractor Parts Manual for machine chassis . 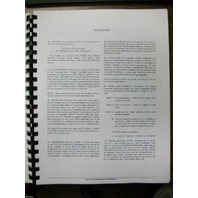 Book is approximately 200 pages. 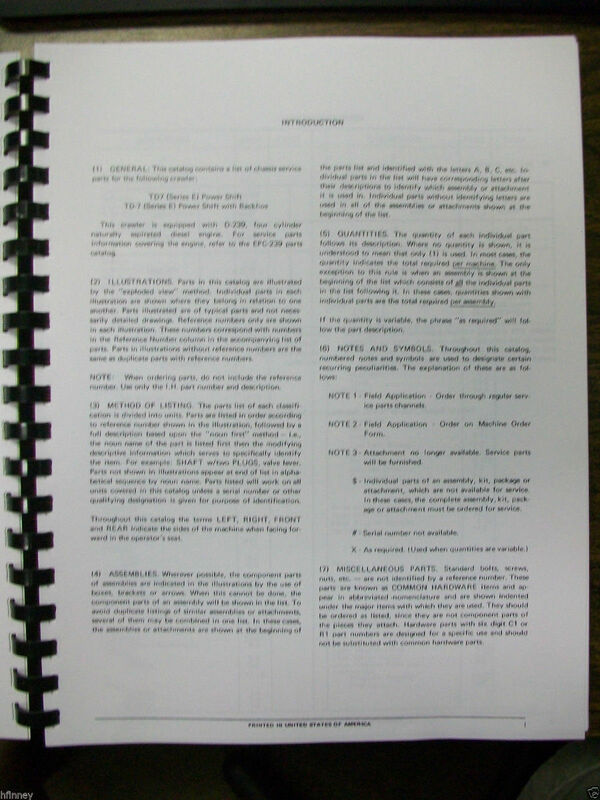 New condition. 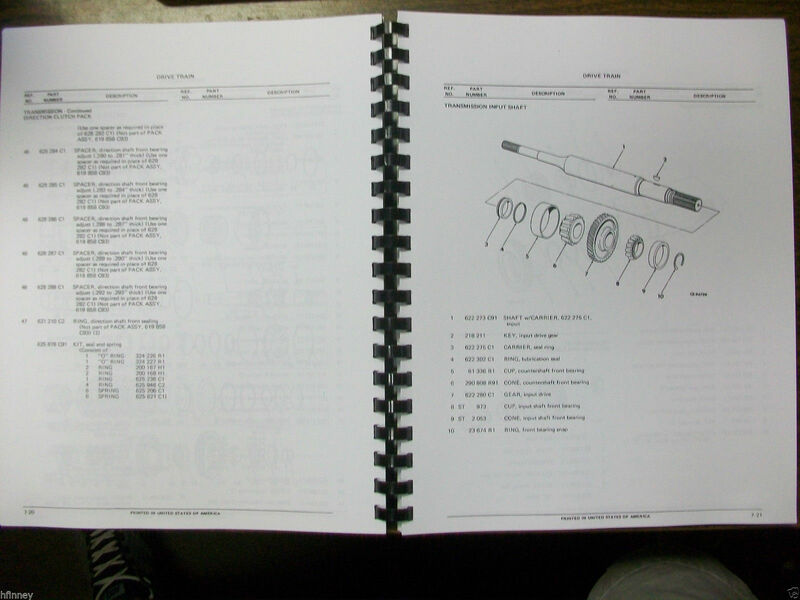 This version is on 8 1/2" x 11" paper with comb binding so that it can lay flat on a table (or machine fender!). 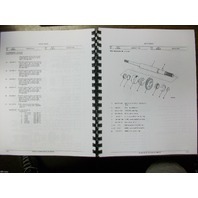 Engine parts book supplied separately. 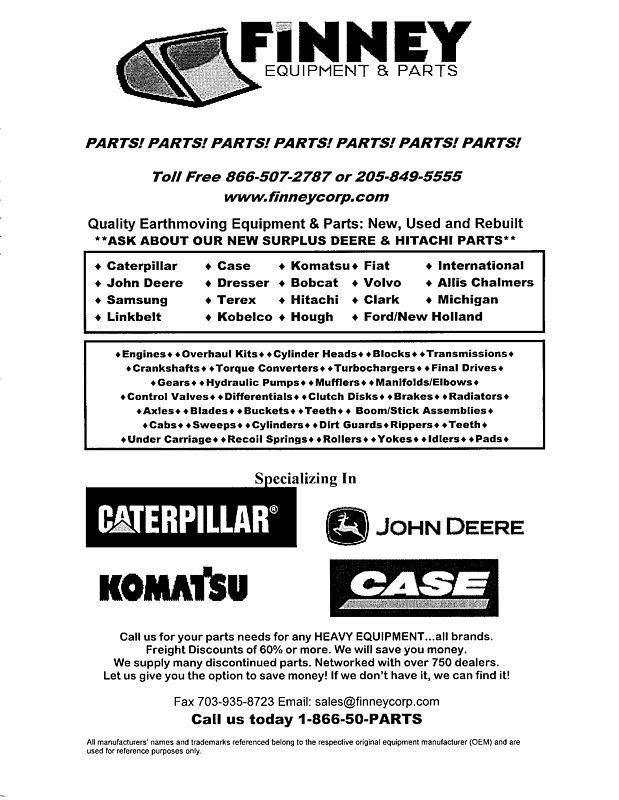 We will combine shipping. 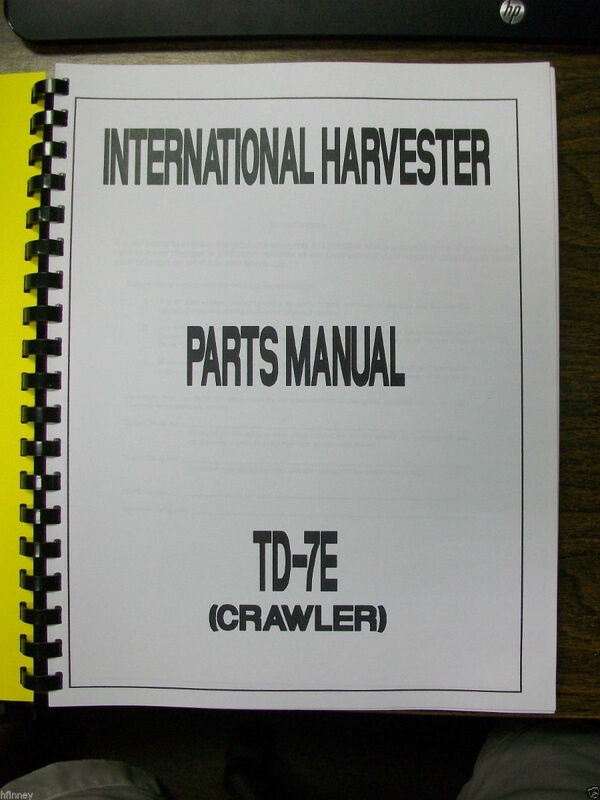 This manual contains a list of chassis service parts for TD7E Power Shift and TD7E Power Shift with Backhoe crawlers. 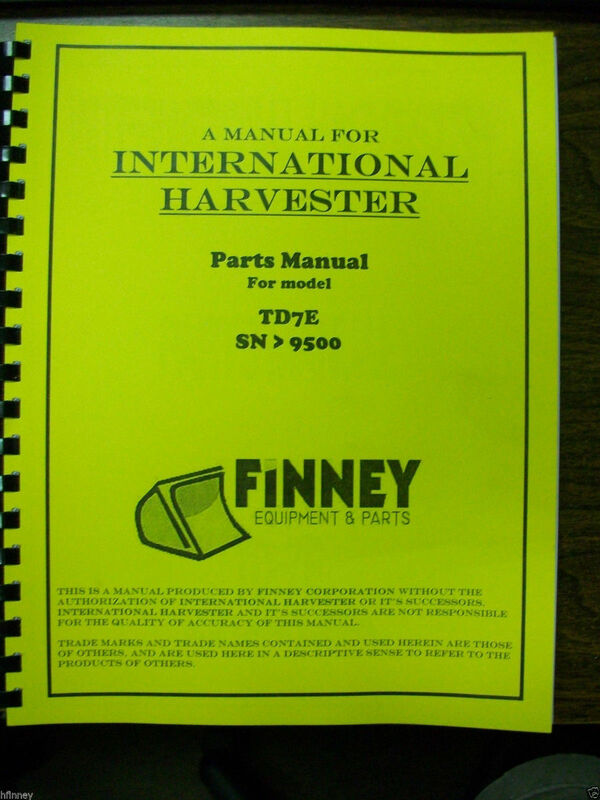 This book covers machines with serial numbers 9500 and higher. 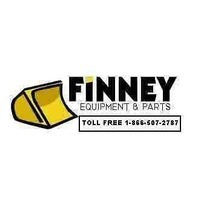 If you aren't sure that this is your machine please call. 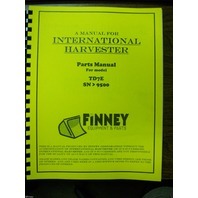 Need other manuals not listed? 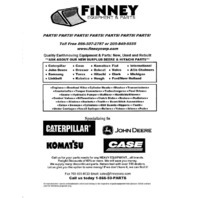 Please contact us for stock and to set up a listing.